From stem cells to population ecology, the research topics studied by both students and professors at Notre Dame is exceedingly diverse. Talk Science, a monthly event hosted by Scientia, the student-run journal of undergraduate scientific research at Notre Dame, aims to highlight research opportunities on campus for interested undergraduates to explore. On Thursday, Nov. 20, over 50 students gathered in the Jordan Hall of Science Reading Room for the final Talk Science of the semester. At the event, undergraduate student Jonathan Jou and Professor Jessica Hellmann discussed their past and present research interests and fielded questions from the student audience. 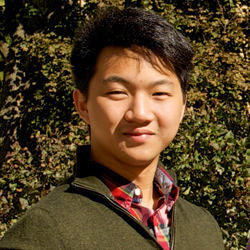 Jou, a senior biological sciences major from Chicago, began his research endeavors in high school when he spent a summer in Spain conducting genomics research Now at Notre Dame, Jou is an undergraduate researcher in Rebecca Wingert’s lab, where he studies kidney regeneration. This past summer, however, he worked at the Harvard Stem Cell Institute, examining the molecular basis of tendon regeneration in zebrafish. Hellmann, associate professor of biological sciences, understands the interwoven nature of the small and large-scale facets of research very well. Hellmann’s lab examines the ways in which climate change will alter the geographic range of species populations, specifically studying several species of butterflies. In other words, she investigates how these butterflies will shift their habitats in response to changing environments. 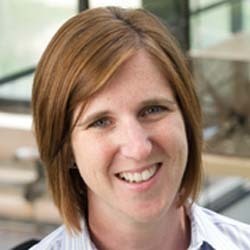 Hellmann’s lab argues that a key issue with current predictions of this sort is that they ignore a simple fact – different populations will exhibit their own unique responses rather than following a set pattern response predicted for the species at large. Originally published by Casey O’Donnell at science.nd.edu on December 01, 2014.